Maintaining a design-oriented culture and practice is a challenge for all companies, even those started by designer founders who actively fight to preserve a strong design ethos as their companies grow. Executive choices such as design team structure, interdepartmental communication protocols, and recruitment practices for both designers and non-designers have a material impact on how effectively product teams work together & innovate. Startups with only one designer usually have those designers wear many hats and integrate tightly with engineering, product, marketing,etc. As companies and their corresponding design teams grow, specialization increases, iteration slows, and interdepartmental collaboration often suffers. There are many pros to having a centralized design team: Designers work closely together and swap critical expertise across projects, leading to regular design feedback and skill improvement which improves designer morale and retention. Additionally, the centralization and constant communication enables the company to more easily maintain a standard look & feel across products & services and also standardized processes and practices. However, venture-backed technology startups and other companies who need to move fast on product development and execution may find that centralized design departments handicap their innovation & speed. Centralized design teams within larger firms often run the risk of being treated as an internal agency. Instead of collaborating tightly with engineers and product managers in an agile and iterative manner, the design team receives work requests from other departments, handles the work internally within the team, and then hands off the deliverables downstream in a waterfall fashion. This dynamic is often unintentional and typically results from designers being physically silo-ed off from other departments and design being viewed as being a discrete step in product design rather than a critical & integral driver of the entire process. Nick Myers observed some of the downfalls of centralized design teams when he became Director of Design at Fitbit, a leading innovator in the fitness tracking & wearables industry. 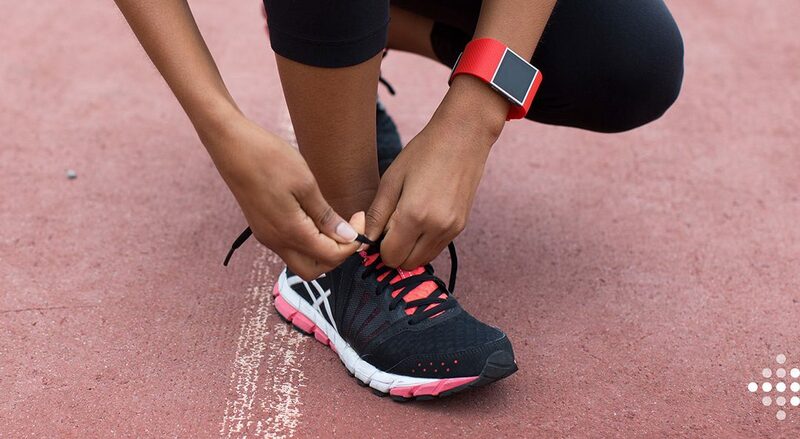 Fitbit creates a family of physical activity trackers that combine hardware and software to enable both casual, health-minded users and performance-driven athletes to track exercise and improve their health. When Fitbit’s design team was centralized, the designers had difficulty tightly aligning with different product teams and product execution overall was slow. Nick discovered that designers would take excessive time perfecting their designs before passing deliverables to engineering because they were afraid there wouldn’t be any iteration on their work. Check-ins with other teams occurred on a weekly basis and often design work would remain unused due to ineffective coordination between design and other departments. The lack of clear and regular progress lowered morale and lead designers to quit. To combat these issues, Nick restructured the design team by placing a designer on product teams along with product managers and front-end engineers. Right away, he noticed product teams move faster. Designs were done collectively, fewer designs were wasted, coordination improved and iteration increased. That said, integration was not without challenges. Some designers felt isolated without other designers present to collaborate with. Others had difficulty maintaining high design standards when engineers pushed them to choose designs based on ease of implementation rather than user friendliness or aesthetic standards. Prior to leading design at Fitbit, Nick was a Managing Director at Cooper, a storied design firm that pioneered the concept of pair design in 1997. Pair design is a practice where two interaction designers are assigned to each project and assume complementary responsibilities. One designer is designated the Generator and is responsible for driving brainstorming and coming up with as many ideas as possible. The other designer assumes the role of Synthesizer and takes on the job of challenging, improving, synthesizing, and specifying designs. As the Generator puts forth ideas, the Synthesizer will ask clarifying questions, flush out details, analyze the pros and cons, and drive iteration. The roles are not fixed in stone and may alternate, but the pair dynamic enables design teams to get to the highest quality designs and most creative solutions quickly. Initially the Fitbit design team was too small to enable two designers to be on each product team, but once the company grew large enough, Nick implemented pair design into the integrated team model. Pair design dramatically improved morale by eliminating the loneliness and frustrations of solo designers who were previously a one-man shop on product teams. Having a productive rapport with another designer led to increased efficiency and effectiveness in a number of ways. First, combining two minds meant more experiences and perspectives to draw upon to generate ideas and solutions. Second, two designers could work in parallel and get work done in half the time. Third, collaborating and openly communication about design problems improved focus and clarity. Finally, pair design teams had a stronger voice and a lower risk of being overruled by engineering or product in an integrated team.